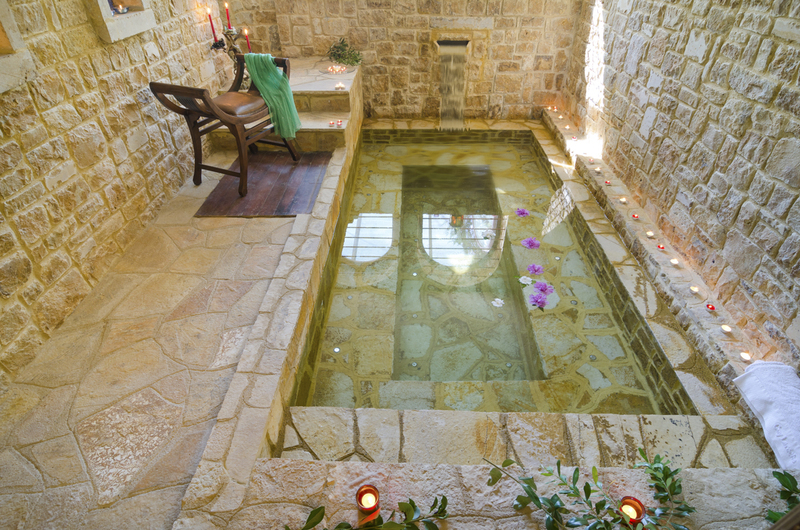 Situated upon the breath-taking Sithonian coastline in Halkidiki, Greece, just a short drive from the bustling resort of Nikiti, sits the stunning stone-built four-bedroomed Blueberry Villa. 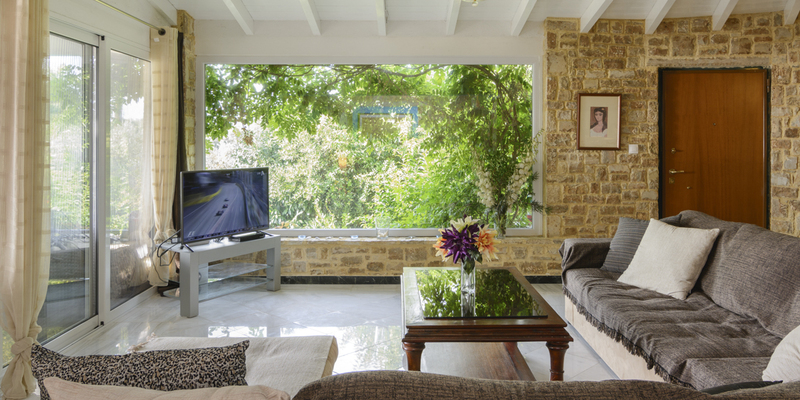 The villa is set amongst lawned grounds dotted with potted plants and is surrounded by tall trees for your utmost privacy. 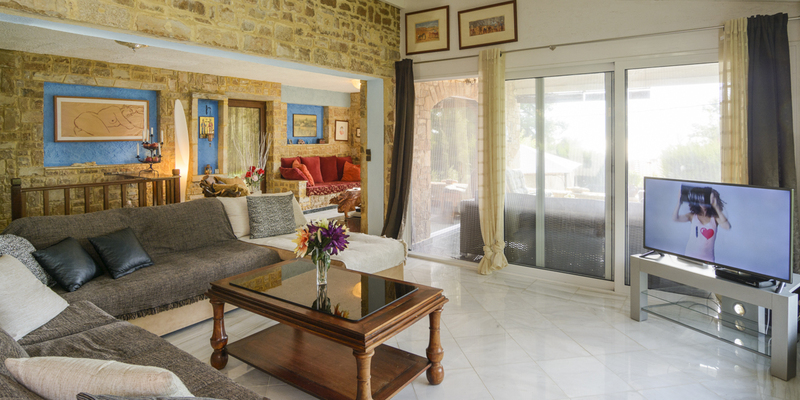 Blueberry Villa boasts fantastic views of the pine tree-lined countryside and mountains. 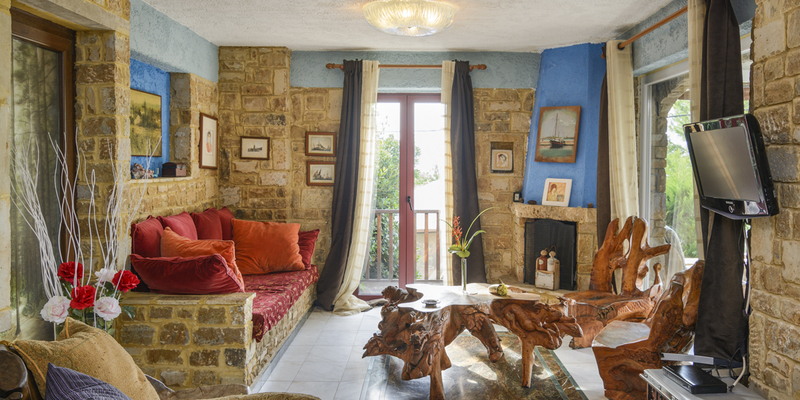 The villa is designed with a traditional Mediterranean theme in-mind, from beautiful exposed brickwork to dark wooden furnishings and there’s an authentic stone-built fireplace in the living room. From the main open-plan living area, doors lead out to an outdoor terrace with plenty of lounging sofas and dining facilities which overlook the swimming pool and green gardens. 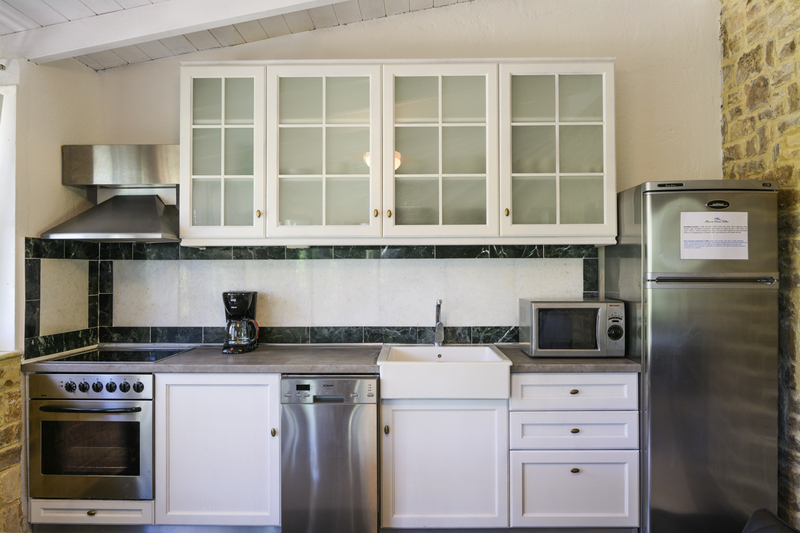 With a well-equipped kitchen offering all the latest in mod-cons, as well as air conditioning, internet and plasma television, the villa provides the perfect home-from-home stay. 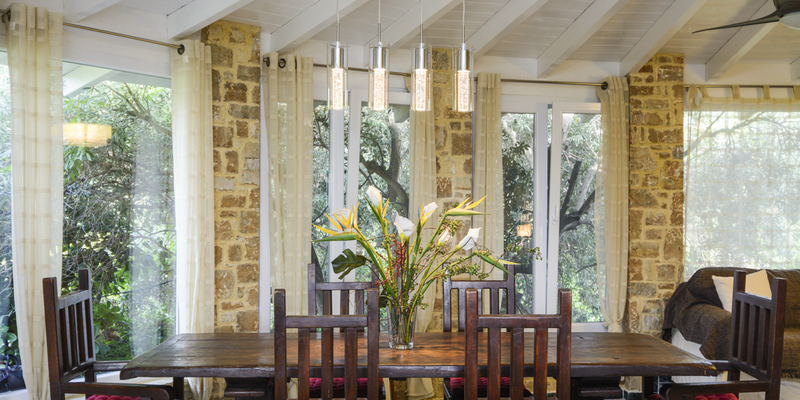 The four bedrooms are all spacious and stylish with thoughtful touches like candles, lanterns and throws adding extra warmth. 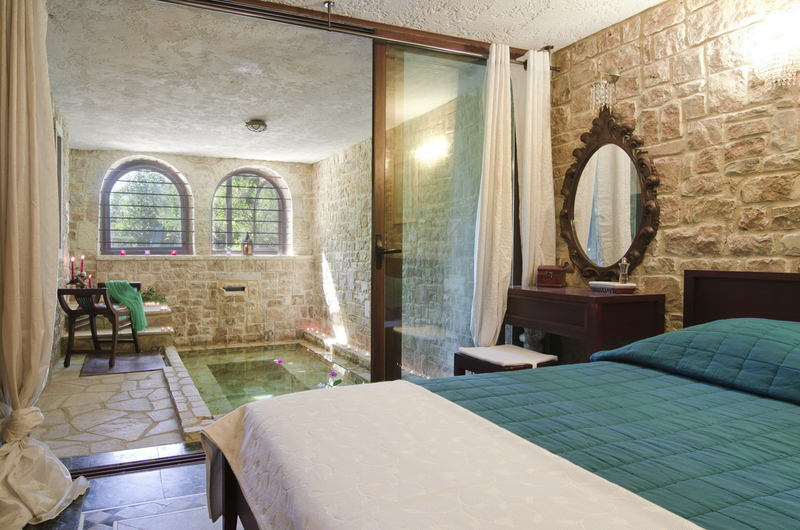 One of the rooms has a romantic stone bath built into the floor for a serene spa-like feel. 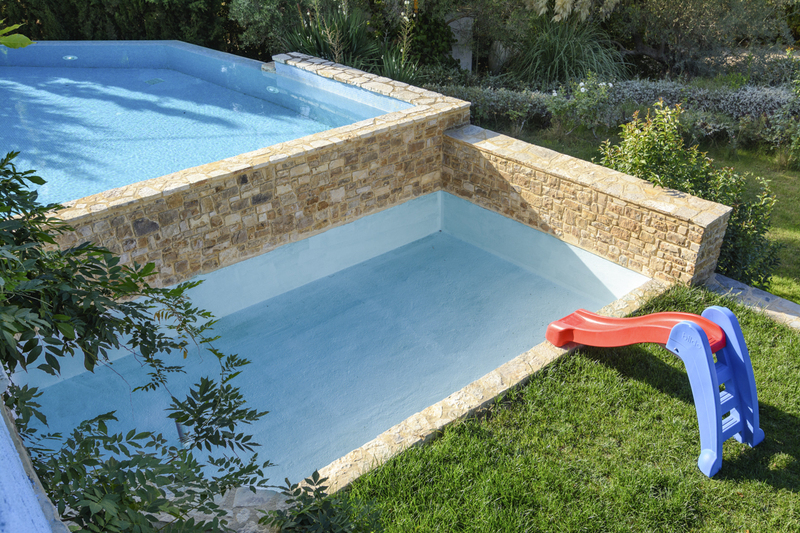 For sun lovers there are plenty of prime places to pull up your lounger in the grounds, while shade seekers will enjoy the pergola draped with chic foil curtains. With floor-to-ceiling windows showcasing the views and an outdoor table and chairs, meal times are a treat at this villa. Shops are a short drive away for picking up fresh local produce, and unspoilt sandy beaches and turquoise waters can also be found within a short drive or longer stroll. 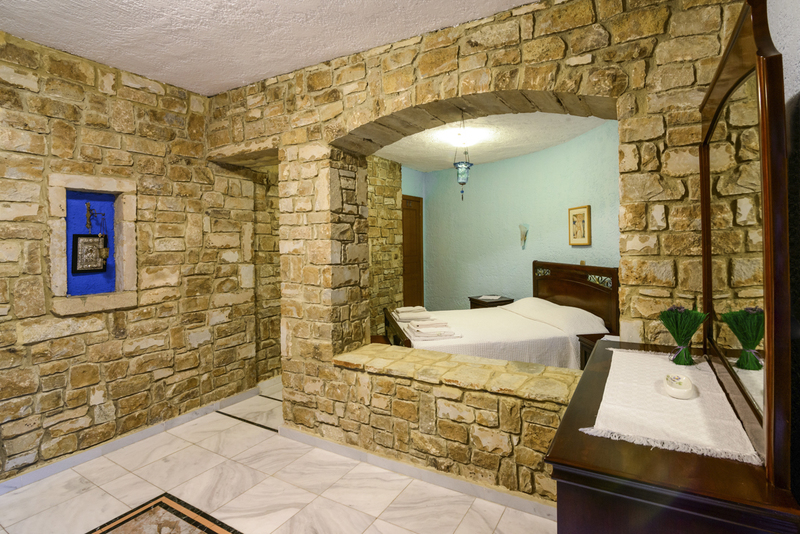 Blueberry villa is in Sithonia, part of the Halkidiki peninsula in scenic northeast Greece. It’s home to striking natural scenery including towering mountains, pine forests and more than fifty Blue Flag sandy beaches. If you love Greek food, culture and mythology, Halkidiki will feel like heaven too. Discover the 3,000-year-old towns and monuments and dine at boutique waterfront restaurants. 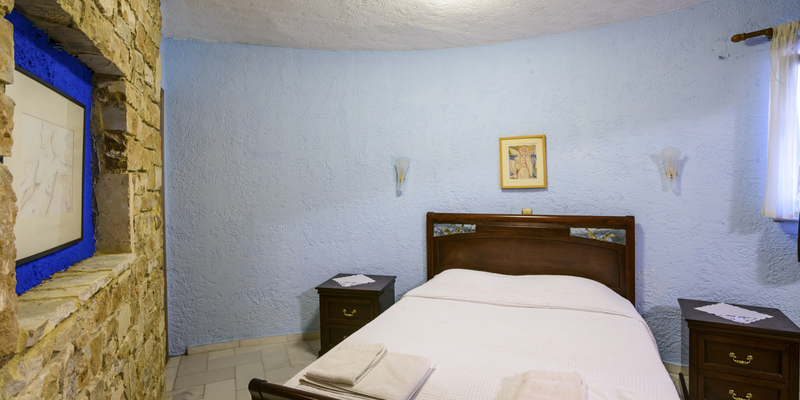 Whether you head to Nikiti, Neos Marmaras, Agios Nikolaos or any other village or town in the area, the beautiful architecture and friendly atmosphere are sure to delight. Among the most exciting places to visit is Parthenonas. It’s on the slopes of Mount Itamos and features stone houses, taverns, a museum and sea views which are exceptionally stunning at sunset. Porto Koufo village is also a great place to discover with just-caught fish mezes served in its local Greek taverns. With fifty Blue Flag beaches, you’re spoilt for choice in Sithonia. Sarti, Kalamitsi and Toroni are all great choices. Swim or snorkel in the calm, crystal-clear waters or sun bask on the soft sandy shore. You’ll also find plenty of opportunities to take part in water sports like windsurfing, kitesurfing and scuba diving, and there are boat trips for exploring the coral reefs, blue lagoons and deserted coves. For outdoor adventuring by land, there’s a myriad of walking, hiking and mountain biking routes. You can head to Mount Itamos, the highest peak on Sithonia for panoramic views over the peninsula and a fantastic bird’s eye view of Mount Athos to the east and Mount Olympus in the west. 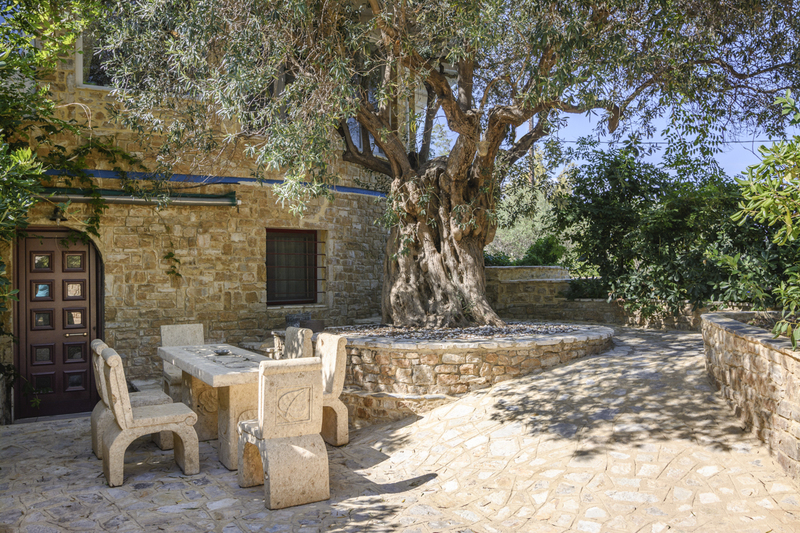 The peninsula is covered with olive groves and pine trees and looks out to the sparkling Aegean Sea.